Given the extraordinary number of therapists who abandoned Freud, Adler, Jung et al. in the wake of Dianetics, many a psychotherapeutic association soon expressed concern – and worse. 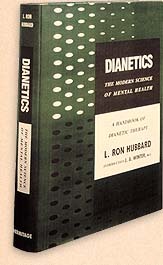 In reply, LRH penned his concise explanation of Dianetics theory, “The Case For It.” It has been reprinted from a now defunct but then popular psychological journal, Why.